It is now well-known that many developing countries are faced with major losses arising from their inability to tax the economic activities and value creation generated within their borders by multinational enterprises (MNEs). The losses arise from a variety of causes, including aggressive tax planning by some MNEs. 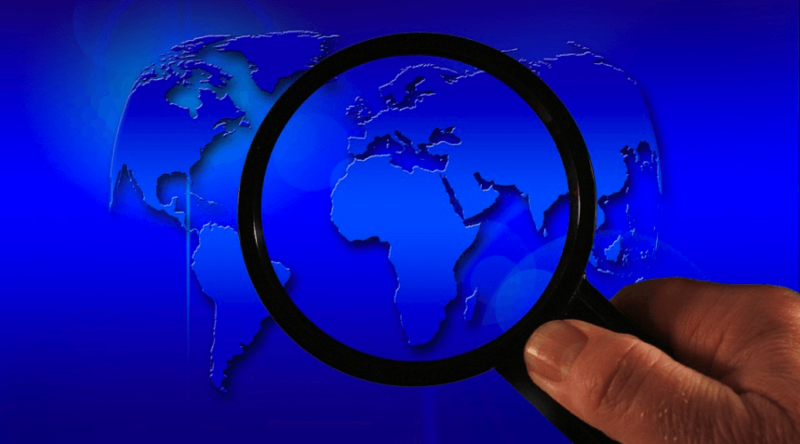 Tax administrations that lack the effective means to deal with the complexities of auditing multinationals are increasingly turning to a new international programme, Tax Inspectors Without Borders (TIWB), to ensure they get their fair share of tax. Tax Inspectors Without Borders (TIWB) is a joint initiative of the Organisation for Economic Co-operation and Development (OECD) and the United Nations Development Programme (UNDP). Launched in 2015, the programme is quickly gaining ground in the niche area of international tax audit assistance, addressing base erosion and profit shifting issues and abusive tax avoidance by some MNEs. Our latest annual report describes in detail how TIWB programmes are supporting developing countries in building tax audit capacity to boost development through stronger domestic resource mobilisation. TIWB’s ” learning by doing” approach brings experts from OECD countries – and increasingly from emerging economies – to work with local tax officials on live audits of tax returns filed by MNEs. Host Administrations, in Africa, Asia, Pacific, Eastern Europe, Latin America and the Caribbean, are firmly in the driver’s seat, identifying national priorities, designing the programme and selecting the experts. This focus on general audit practices leads to the transfer of skills and knowledge in a real working environment. TIWB’s low cost and high impact interventions fill a gap in technical assistance programmes, enabling Host Administration staff to take responsibility for their cases with limited and focused support from foreign experts. The outcomes of TIWB assistance are threefold: to assist the Host Administration to generate tax revenue through audits, build skills and confidence in the auditors’, and to improve overall tax compliance by MNEs operating in the jurisdiction. TIWB programmes facilitate assistance in areas where local auditors are at a distinct disadvantage to the legal and tax teams working for MNEs, including advance pricing agreements, anti-avoidance rules, audit investigatory techniques, consumption taxes (e.g. VAT, GST), high net-worth individuals, pre-audit risk assessment and case selection, transfer pricing, and thin capitalisation. Demand for TIWB continues to grow. There are 39 ongoing or completed programmes worldwide, and another 22 programmes are in the pipeline. The objective remains 100 programmes by 2020. To date, USD 414 million in increased tax revenues can be attributed to TIWB support offered in partnership with the African Tax Administration Forum and the World Bank Group. TIWB represents excellent value for money, with over USD 100 in additional tax revenues recovered for every USD 1 spent on operating costs. The TIWB Secretariat is partnering with CIAT to expand regional and international co-operation between its member countries on the exchange of expertise in this critical area, which largely effects countries’ ability to attain the Sustainable Development Goals. TIWB programmes are ongoing in some CIAT member countries, including Colombia, Costa Rica, Jamaica and Peru. New programmes are expected to commence in the Dominican Republic and Honduras, among others, in the near future. The growing body of TIWB partners include Mexico and Spain who are committed to sending their partners into the Latin America region. TIWB programmes are primarily focused on audit support for transfer pricing and international tax audits as well as guidance on advance pricing agreements across a broad number of commercial sectors, including telecommunications, tourism and financial industry. TIWB is part of a wider international movement that is increasingly calling on MNEs to pay their fair share and operates in direct support of the the OECD/G20 Base Erosion and Profit Shifting (BEPS) actions agreed in 2015 to equip governments with domestic and international instruments to address tax avoidance. The game is changing, the rules are evolving and important benefits are being reaped by countries worldwide. Help us push the ball forward by joining Tax Inspectors Without Borders.